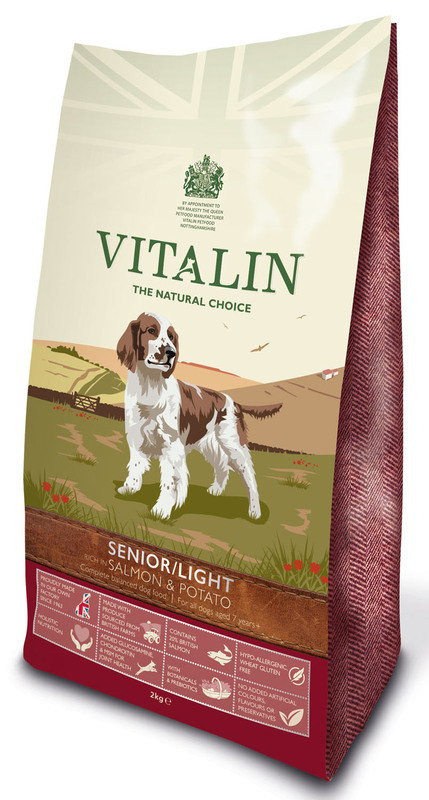 Salmon Meal (20.0%), Whole Maize, Potato (16.0%), Rice, Barley, Sugar Beet, Whole Linseed, Sunflower Oil, Salmon Oil, L-Carnitine, Fructo-oligosaccharides (Prebiotic FOS) (0.1%), Mannan-oligosaccharides (Prebiotic MOS) (0.1%), Seaweed (750mg/kg), Glucosamine (510 mg/kg), MSM (510 mg/kg), Rosemary (400 mg/kg), Chondroitin (360 mg/kg), Dried Spinach (250 mg/kg), Carrots (250 mg/kg), Burdock Root (250 mg/kg), Extract of Yucca Schidigera, Blueberry Extract (100 mg/kg). 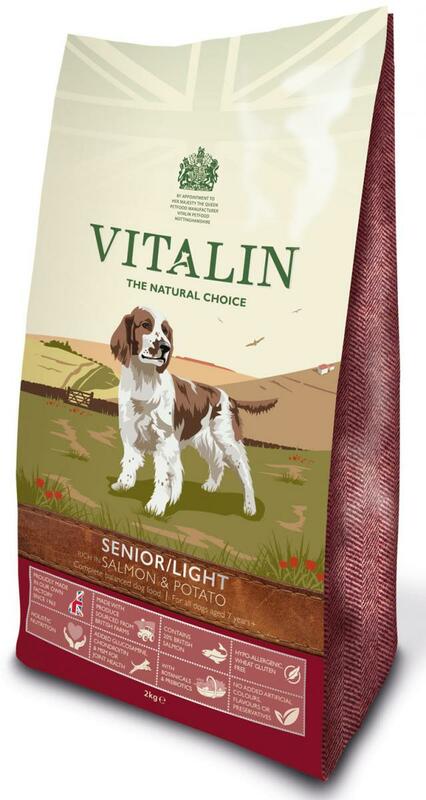 Crude Protein 19.0%, Crude Oils & Fats 7.0%, Crude Fibres 3.0%, Crude Ash 7.5%. 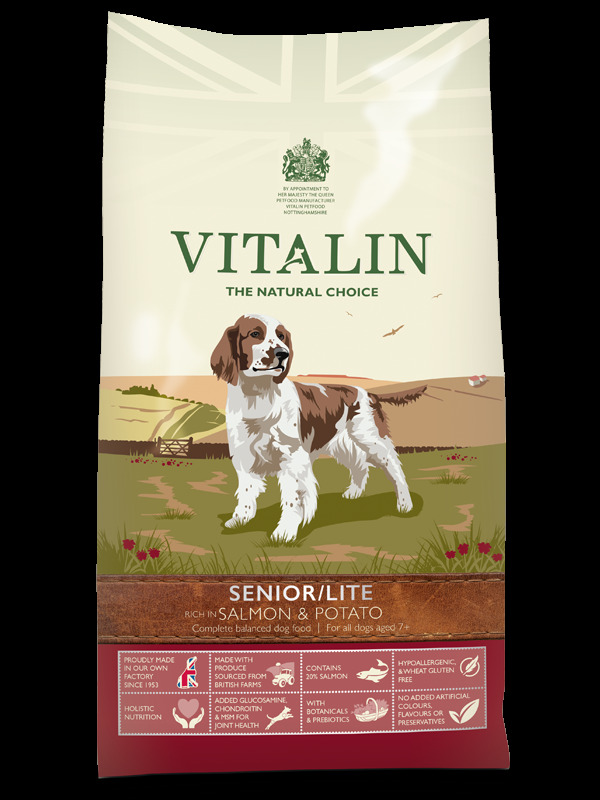 There are currently no questions for Vitalin Senior Lite Mature or Overweight Diet Dog Food - be the first to ask one!